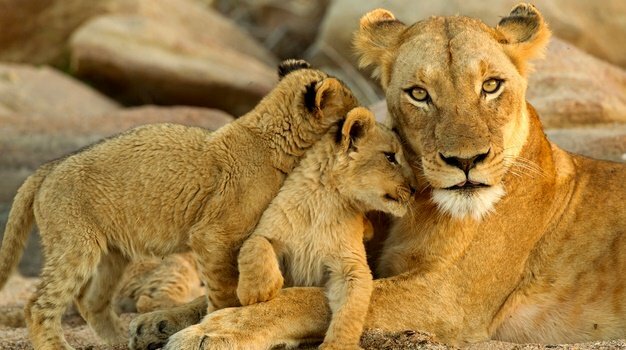 Cape Town - South African National Parks (SANParks) is on a mission to upscale and increase visitor accommodation and opportunity within SA's parks, and escpecially the iconic Kruger National Park. News of the development of a brand-new 128-room Skukuza Safari Lodge was officially celebrated on Saturday, 18 February, when SA Minister of Environmental Affais Edna Molewa broke the first ground where the lodge will be erected. Upon completion in the final quarter of 2018, the 3-star hotel and conference facility will be able to accommodate about 250 tourists per night, running at full capacity. According to Reynold Thakhuli, general manager for media, PR and stakeholder relations for SANParks, the lodge will be situated adjacent to the Nombolo Mdhluli Conference in Skukuza. The Lodge will cater for the conference, meetings, conventions and exhibition market mainly, in addition to hosting general visitors. The full development cost of the Conference Lodge (Lodge, bulk services and staff housing) amounts to R269.5 million, and will be funded from the Infrastructure Development Grant. At the officiating ceremony, Molewa said that the "development also heralds the beginnings of the development of the first of the SANParks owned brand of Wild Hotels, Lodges and Resorts". The idea is not only to provide world-class tourism facilities for local and international visitors, but also to inject opportunity into the local rural communities surrounding the park. The DEA has outlined various structures to ensure that contractors use mostly local businesses, resources as well as make use of local employees during the construction of the lodge. Dispelling fears that the new lodge will increase footprint in the KNP, Molewa also highlighted that SANParks has been mandated in terms of the National Environmental Management: Protected Areas Act to provide accommodation and facilities for visitors, including provision of food and household supplies. She further stated that currently the development of footprint in the KNP, comprising of tourist facilities, staff housing, tourists roads, support infrastructure and management roads, currently constitutes 6285 ha or 0.3% to the total of 2 000 000 ha of the park. In terms of international IUCN standards a park could be developed to 10% of its size. “This means the claims of over-development and over commercialisation of the Kruger National Park are exaggerated and unfounded,” Molewa says. - Kruger accommodation debacle: Is SANParks compromising on standards?